A well-designed backpack that fits you, has the proper capacity, and has the features that are appropriate for the specific task will help you maximize your enjoyment and hiking comfort. We suggest you read our articles on Backpack Sizing, Backpack Types, and Backpack Anatomy & Features before continuing to read this Backpack Buyers Guide. Once you have read these related articles, you will know how to get a proper fit for your backpack, how backpacks differ from each other, and what features backpacks have. * Buy your pack last: The most common mistake people make is purchasing a pack before they purchase the rest of their gear. We suggest you purchase a pack after you purchase your other items so that you know how much weight you need to carry, and the volume of pack you need(capacity). Overloading a small backpack by connecting equipment at the outside of the pack is a bad solution as it disturbs the center of mass and the load distribution. You should determine your needed volume for internal storage inside the backpack. * Match the pack to the task: There is not a perfect backpack for all activities. If you are serious about Hiking or other Outdoor Activities then you will probably end up buying multiple backpacks, each targetted at a specific activity and trip durations. 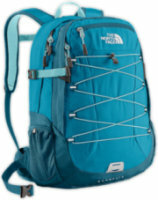 If you plan to take specialized equipment like Snowshoes, Ice Axes, Crampons, Climbing Ropes, or other larger equipment then you might want to look for backpacks that have special pocket, straps, and cords configuration which will allow you to easily attach these pieces of equipment to the outside of your pack. There are even special backpacks that are designed to carry a snowboard, skis, or other bulky gear. * Load Distribution - The general rule is that the heavier the load you will have to carry, the more technical features your backpack should have. Take a good look at our list of the different backpack features. For heavier loads, you will definitely need a hip belt and the combined workings and adjustability of the shoulder harness, sternum strap, and the stabilizer straps. * Hydration System - Decide if you need your backpack to facilitate a hydration system or if you are just going to use bottles and other liquid containers. Keep in mind that drinking tubes and bladders can freeze up in extreme cold conditions. * Waterproofness - It is best to prepare for the worst possible weather and moist conditions. Especially for activities like Canyoneering and Coasteering, you will want a waterproof backpack. Look for a backpack that comes with a splash cover or that has a separate fitting splash cover. * Fit - It might seem strange to fit a backpack but it is definitely something that is very important. Most backpacks have adjustable hip belts, shoulder harness, and stabilizer straps but even then, the basic shape of the hip belt and shoulder harness could not be compatible with your body. In particular, women might want to look for backpacks that are developed for the female body. * Durability: Some lightweight packs saccrifice durability to achieve light weight. This is our Backpack Buyers Guide. Know the different factors to consider when buying Hiking Backpacks and choose the one which meets your requirements.